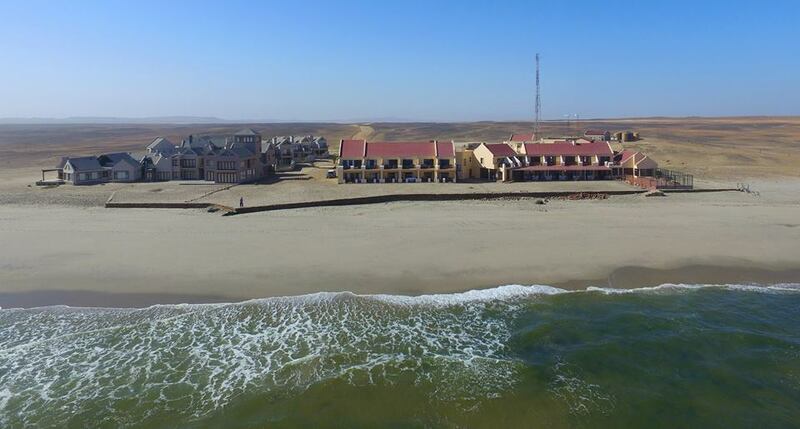 Cape Cross Lodge is situated on Namibia's infamous Skeleton Coast, about an hour away from the coastal holiday town of Swakopmund and 4 km from the Cape Cross Seal Reserve. It is as isolated area of the coastline and is the ideal place from which to explore the Skeleton Coast or Damaraland. 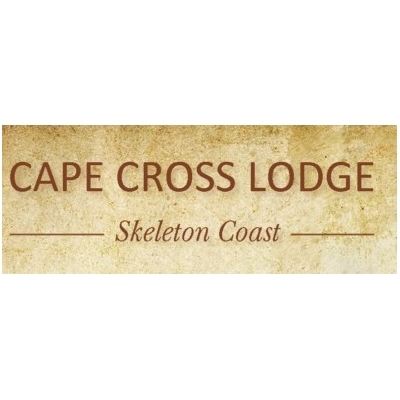 Accommodation at Cape Cross Lodge consists of 18 double rooms and two semi-suites. Double rooms are equipped with an en-suite bathroom with a shower, a tea/coffee station and an in-room safe. All rooms are sea-facing and have a patio or a balcony with a seating area. The semi-suites are larger than the double rooms and also have en-suite bathrooms, but with a bath and shower, tea/coffee station, in-room safe, coffee table and two armchairs. The patio area of the semi-suites also has a larger pation than the double rooms. The lodge has an a la carte menu from which guests can choose and a buffet is available for larger groups of guests. There is a cocktail bar and private cellar with a wide selection of wines and spirits. Activities include guided seal visits to the seal colony, Messum crater visit, unguided seal visit, excursions to the Winston Wreck, surfing as well as kayaking.